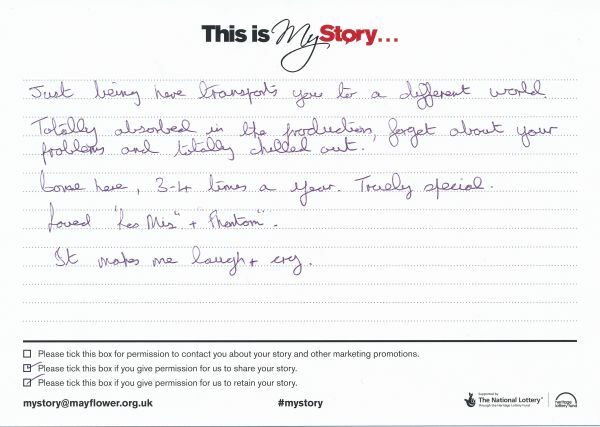 My Story card: Cynthia Garton remembers seeing many productions and being transported to a different world. Just being here transports you to a different world. Totally absorbed in the production, forget about your problems and totally chilled out. Gone here, 3-4 times a year. Truly special. Loved 'Les Mis' and 'Phantom'. It makes me laugh and cry.